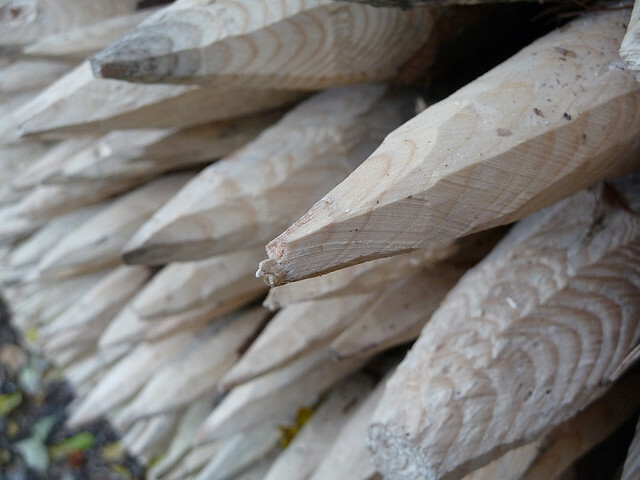 Stakeholder – Advocate, blocker or Swiss? Stakeholder – A person with an interest or concern in something. Stakeholder is someone with power and/or interest in what you are doing. Thus, a deliberate assessment of who’s who supports expectation management through careful communication. I think you are a stakeholder on this, lets hammer this in three parts. Use a good starting point to identify the stakeholders. You may find useful picking one or more of these techniques. I recommend using at least stakeholder nomination as a way to cross check your candidates with someone who has a vested interest. Stakeholder nomination – Just ask an important stakeholder: “Who are the stakeholders?”. Background search – Scavenge existing documentation (reports, organization charts, job descriptions, policy manuals, feasibility study reports) and find explicitly identified people, managers and groups. Then map them to corresponding roles on your context. 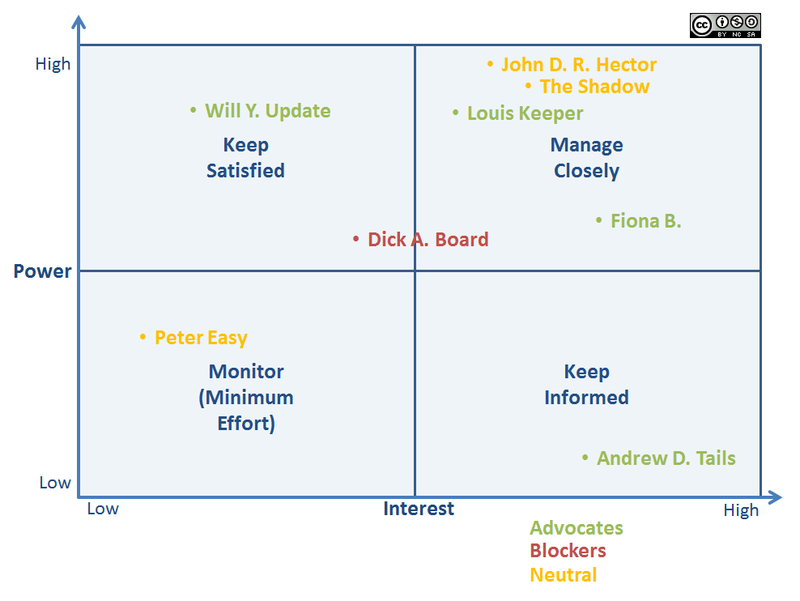 Now you have a basis to establish communication approach and depth of involvement with each stakeholder (depending on where they stand on both dimensions of the power/influenxe matrix – notice that this must be reviewed regularly for newcomers, changes in influence/power that we may or may not… influence). Also a good introductory book to Business Analysis techniques is: 72 Essential Tools for Success by James Cadle, Debra Paul and Paul Turner. This entry was posted on February 27, 2013 at 1:30 pm and is filed under 2013, people. You can follow any responses to this entry through the RSS 2.0 feed. You can leave a response, or trackback from your own site.